The MONZANI MZTS-333BN Bb-Tenor Saxohone convinces with a powerful and present sound. The ergonomic ordered mechanic cares for a high grade of playability. The comfortable attack point supports the musician over the whole tone range. You can concentrate on the musical interpretation. Pads and springs of the MZTS-333BN are high quality products Made in Italy. 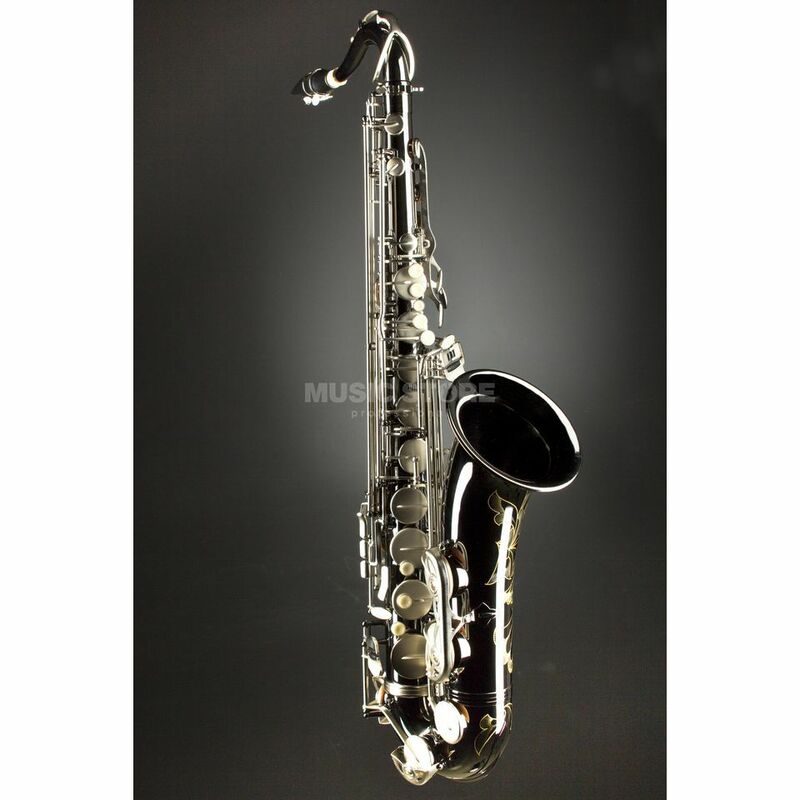 This features and the excellent intonation let the saxophone become an interesting instrument for beginner and intermediates. The surface of the body is black and nickel plated. That's what the saxophone makes eye candy on every stage. The matt nickel plated mechanic is a contrast to the black body. Included is a DeLuxe light case with a seperate bag for sheets and accessories.